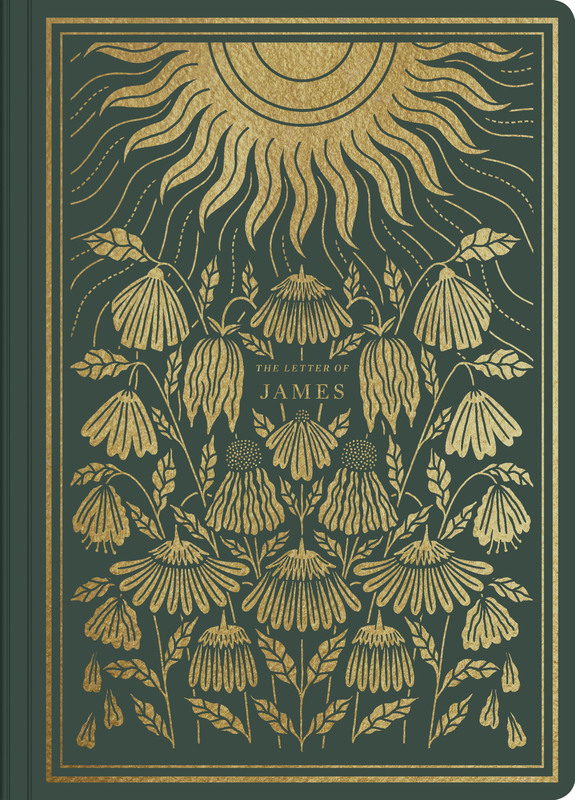 ESV Illuminated Scripture Journal: James by English Standard was published by Crossway Books in October 2018 and is our 25625th best seller. The ISBN for ESV Illuminated Scripture Journal: James is 9781433564949. What an absolutely beautiful book. I bought this as a gift for a friend who has been studying the book of James recently, and it has surpassed expectations. Quite slim, think school exercise book, although James is only 5 chapters long. It is bound in good quality bottle green card with a simulated gold leaf illustration on the front. There are creases along the edge of the binding to enable you to lay it flat for writing in. There is a removable black sleeve on the back cover with an explanation of the journal and suggestions as to how to use it, it also gives brief details of the cover illustration and the artist. Inside the paper is good quality - would easily take biro, fibre tip or ink - and, after a Preface, the book of James is printed on one side, easy font with generous spacing making it simple to read, with the facing page blank for you to write in. Occasionally, there are quotes on these blank pages (again in the simulated gold leaf) and, half way through the book, there is a full page illustration with quote. The blank pages have a faintly dotted grid so that you can choose to write or draw. There are 9 blank pages at the back for those of us for whom there will never be sufficient room to write down all our thoughts! All in all, this book is lovely; it is going to make a stunning gift but I have a feeling that I will also be purchasing another one for myself. As someone who just can't bring herself to write copiously in my bible,this is a good outlet for making notes and jotting down thoughts. Got a question? No problem! 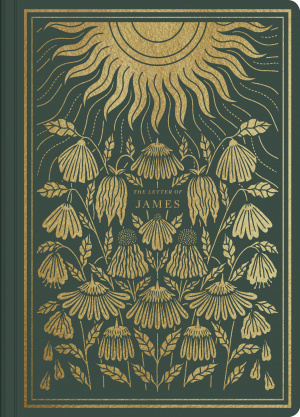 Just click here to ask us about ESV Illuminated Scripture Journal: James.